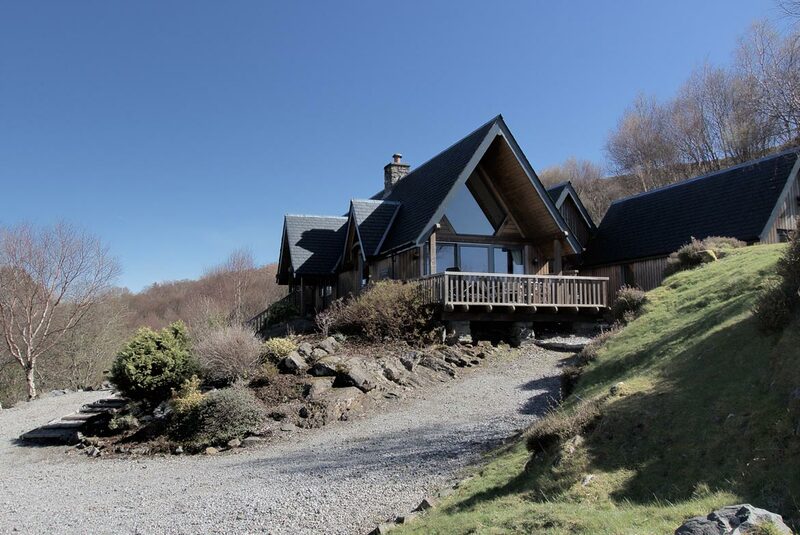 This super stylish 5 Star Scottish holiday home is nestled between Arisaig & Mallaig on the old coast road the B8008. Just getting here is a rare treat as you will travel along the famous & stunning ‘Road To The Isles’. The West Coast rail track, that runs adjacent to the road has been described as one of the greatest railway journeys in the world. 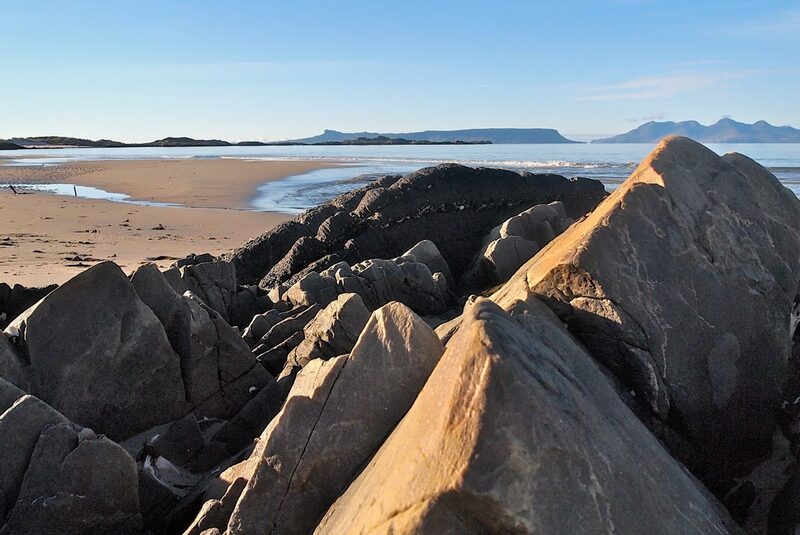 Set in 15 acres of rural landscape, the Lodge enjoys an elevated position offering stunning sea views across the water to the Isles of Eigg & Rhum and the breath taking Cuillin mountains on the Isle of Skye. Maximising on space and light with an open plan living space, you will find a top of the range kitchen, stunning bathroom facilities, with designer furniture & furnishings. A modern, eclectic style that will really satisfy the discerning guests wanting to discover this beautiful part of the The Highlands. Beautiful house in beautiful surroundings. Seeing the Pine Marten was an added bonus! Thanks Vanessa & Joe for such a beautiful & welcoming house – equipped with everything you could possibly want or need. We weren’t blessed with good weather but when your staying in a gem like this, it didn’t matter! Lovely surroundings & views; Chris and I have stayed in countless s.catering all over the world but this is our absolute favourite. We are going home with lovely memories. Thank you. Absolutely perfect! Luxury in a highland wilderness oasis. A great fortnight walking, chasing steam trains and photographing sunsets. Thank you. We have had a fabulous holiday in this wonderful house! The views, the beach, the walks but mostly the fact that you have put so much thought into making it a real home from home, which mean’t it has been a proper holiday. Relaxing, Peace, Perfection! A fantastic house in a great location! No matter what time of year the view is always spectacular! A fantastic house, great location, amazing views – would definitely return.